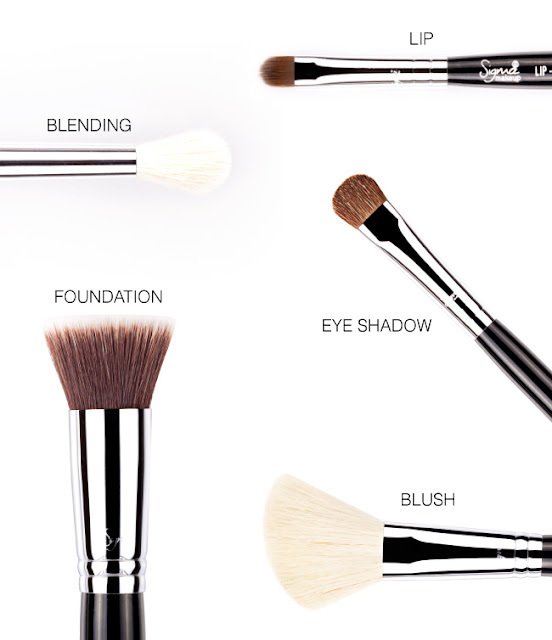 Cosmetic brushes have the power to make or break your makeup look. For the most superior application and flawless finish when it comes to makeup, investing in quality brushes is your first step! Whether you are starting your career as a makeup artist or just love makeup, here are the brushes you’ll want to have on hand! 1 – A high quality foundation brush. If you are a frequent reader of this blog then you know the F80 is the No. 1 favorite foundation brush of not only many YouTuber gurus but for several Sigma employees as well! 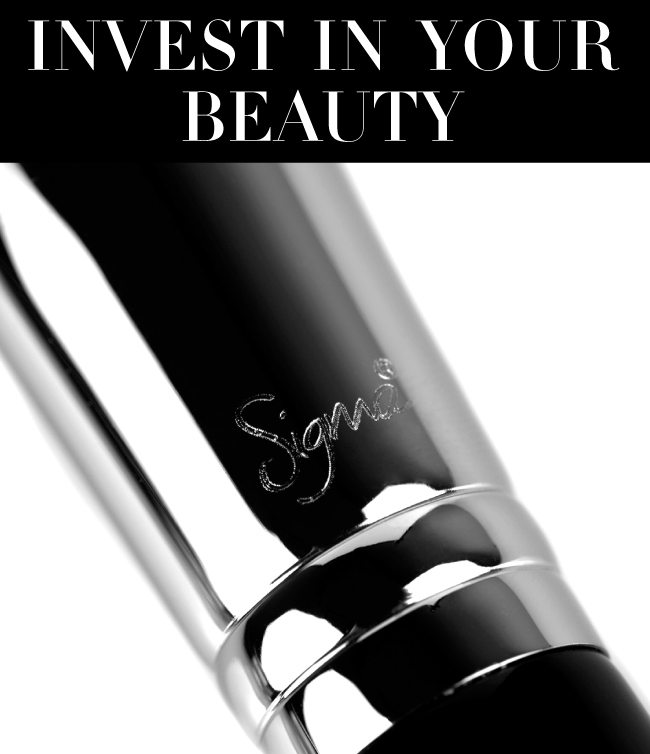 The dense Sigmax fibers provide a seamless application of liquid, cream and mineral foundation -- what more could you ask for? 2 – A blush brush. The F40 large angled contour brush is our go-to pick for applying blush. Bonus - the angle makes it perfect for getting into the cheekbones to apply contour powder and highlighter as well. 3 – A standard eye shadow brush. For all-over lid application of eye shadow and loose pigments, and eye shadow brush is a must. The E55 has soft and dense bristles to give an even coverage. 4 – A blending brush. To create a sultry smokey eye or to eliminate any harsh lines created from eye shadow, you will definitely want to have a blending brush in your beauty bag. The E35 gives a well-blended effect to perfect eye look you create and the tapered tip makes it easy to work into the crease. 5 – A lip brush. For the most precise application of lipstick and stains, the L05 creates the control you need for exact product placement. Just remember that your brushes are an investment and have a strong impact on your makeup so it's best to choose quality over quantity. What are your favorite brushes? Great post!!! F80 is a classic!!! I'm really excited to try these brushes out!! I've got some birthday/gradutaion money that I'll put towards some really good brushes :) Great post!!! September Favorites + New Product Sneak Peek!